Bonefish Grill $50 Gift Card Giveaway! We attend the Ringling Bros. and Barnum & Bailey Presents Super Circus Heroes show at Germain Arena. We where pleasantly surprised by the show and it’s focus. Starting with a interactive All Access Pre-show, which takes place on the arena floor one hour before the show and is FREE TO ALL TICKET HOLDERS the show was very interactive and felt very personal. 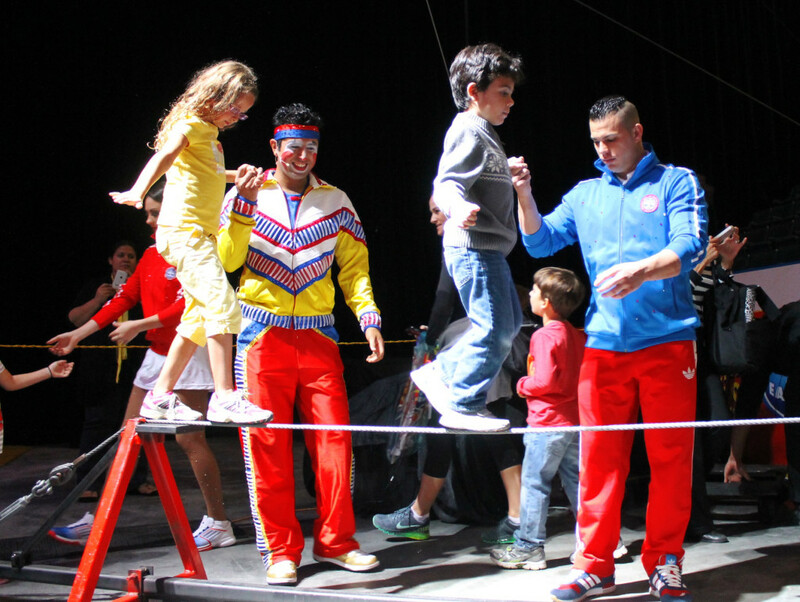 My kids had the opportunity to get up close and personal with the animals and the clowns, learn about their superhero powers like dancing, rope walking and working with animals and got to meet and interact with the stars of the show. My little guy walking the low wire. Photo: Paula Bendfeldt-Diaz, all rights reserved. After the Pre-show the kids where more excited than ever to see the performances. From martial artists, astonishing acrobats and awe inspiring aerialists to extraordinary animals and hilarious physical comedy. We’ve been to many circus shows before but what really set this one apart was that the kids really felt like part of the show and we all left with a warm feeling about the experience and about the message behind the show: we are all super heroes with special powers. The show was a singular experience filled with memorable moments for our whole family. 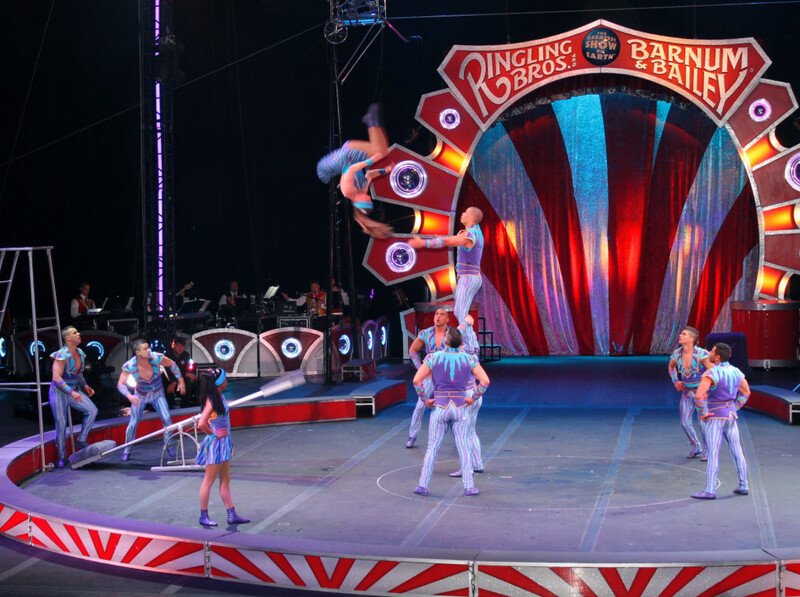 The pageantry, music and excitement of the Ringling Bros. and Barnum & Bailey Presents Super Circus Heroes show was truly a celebration of the bravery, courage and the talents that live inside all of us! Super Heroes of Southwest Florida Day Discounted Tickets! 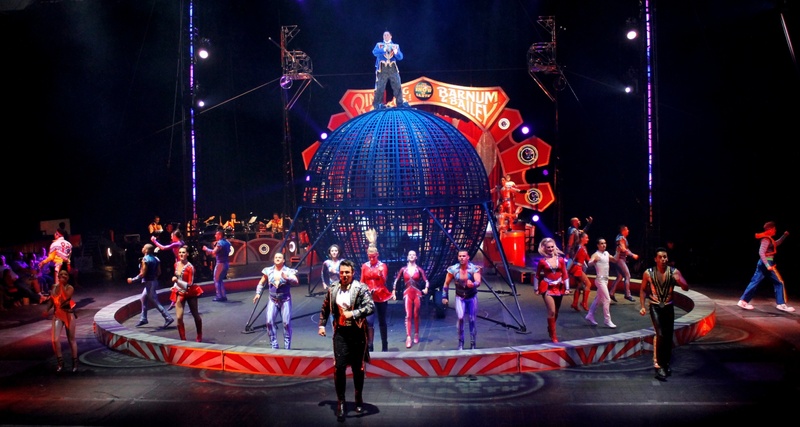 On Jan. 6th Ringling Bros. is offering $10 tickets to the 7 p.m. show at Germain Arena in honor of all local super heroes, . 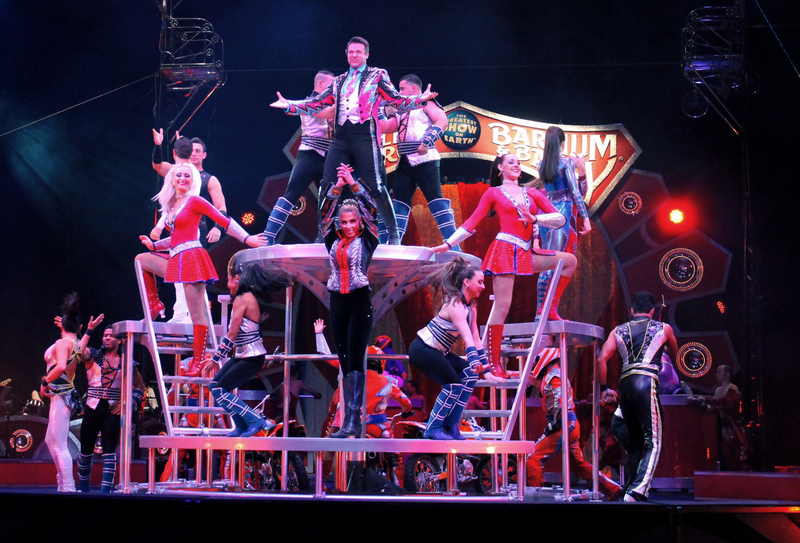 During the opening of the show, Ringling Bros. and Barnum & Bailey will salute local heroes including police, firefighters, military and veterans, health care workers, teachers, government officials and all those who serve their community. Tickets to the Monday evening show can be purchased at the Germain Arena box office or online using discount code MNDY10, which excludes front row and VIP seating. Additional fees apply for online ticket purchases. You can read more about the show and the performances at Germain Arena HERE. Tickets are available at Ticketmaster.com, by phone at 800-745-3000 and the Germain Arena Box Office. For group rates and information, call toll free: 866-248-8740 or 239-948-7825 x1031. 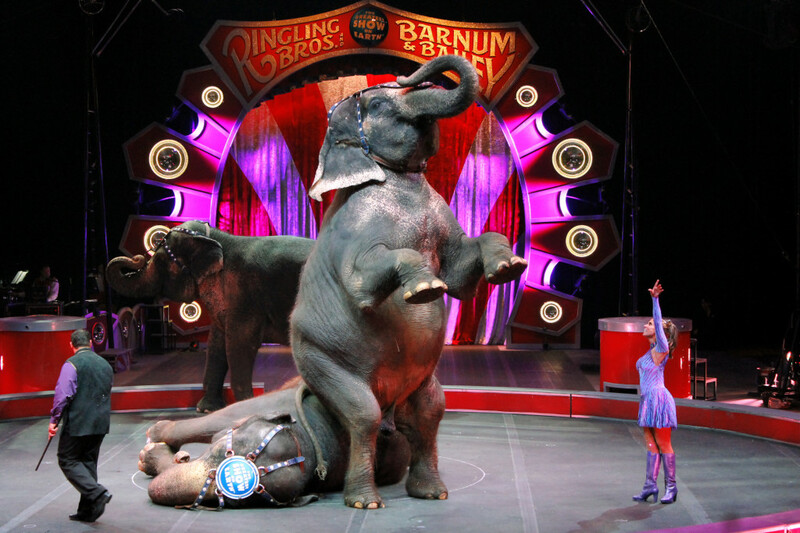 For more information, visit www.Ringling.com or like Ringling Bros. on Facebook and follow @RinglingBroson twitter.